The GOP leader who defended his decision to host the far-right group Proud Boys at his political club Friday also works for a Brooklyn Republican lawmaker who will not return calls about the event. The Chairman of the Metropolitan Republican Club, Ian Reilly, received at least 13 payments of $605.05 from State Sen. Marty Golden’s senatorial campaign fund between July 24 and the 26th of September, according to the New York State Board of Elections. All payments are listed as wages on the state’s website. “Ian Reily is the campaign’s office manager and a friend,” said spokesperson Michael Tobman. 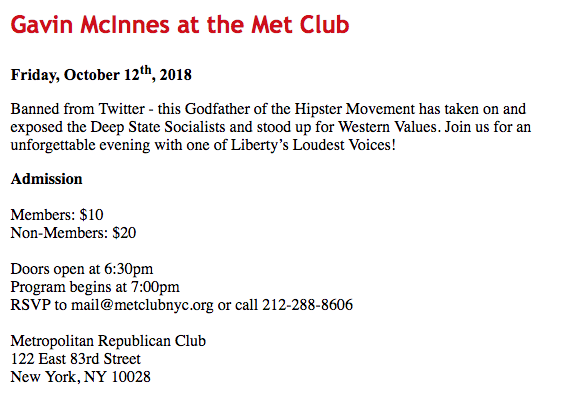 Reilly was criticized for inviting Proud Boys leader Gavin McInnes to the Upper East Side clubhouse to speak. The club chair then publicly defended the choice after a skirmish between white nationalists and Antifa members broke out near the venue, leading to three arrests and an ongoing investigation. Gavin McInnes announcement at the Metropolitan Republican Club. Proud Boys and Antifa members faced off again Saturday in Portland, OR. Several Democratic leaders denounced Friday night’s event with Gov. Cuomo calling to “repudiate the Proud Boys,” while City Council Speaker called for Republican leader Ed Cox to step down. But there was no word from Brooklyn Republican leaders. State Sen. Marty Golden did not respond to requests for comment about this weekend’s event that resulted in three arrests and a pending investigation. It’s like whenever you think this guy can’t get any worse, something new comes out. Everyone in this district needs to vote for the guy running against him. Everyone who lives in other parts of Brooklyn needs to give money to the guy running against him. No Nazis in New York! 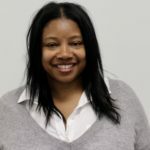 Good reporting by BKLYNER Politics reporter Kadia Goba. Proud Boys violent atrocity includes connection to NYPD’s biggest Albany booster, @SenMartyGolden. Calling on @NYPDDetectives to police its own, investigative journalists with more resources to tell the whole truth. And you think ANTIFA is a peaceful coalition? Connie O’s in Greenpoint is a Proud Boys and Skinhead hangout and the bars owners and bartender are like minded. If the Nine Four is seeking the chronically unemployed losers who never get laid, still live with mom and draw swastikas on parking meters, this depressing filthy dump is where they will find them.